Lynne Jeffrey RN, BSN, CMT, CHTP/I, HNC, Healing Touch Arizona:"Healing Touch is a type of alternative healing using hands-on and energy-based techniques to balance and align the human energy field. Body, mind, emotion and spirit are touched through this therapeutic process, and each individual is empowered to participate fully in his or her healing journey." Nurse Healers - Professional Associates International:"The mission of The Nurse Healers - Professional Associates International (NH-PAI) is to lead, inspire, and advance Therapeutic Touch, other healing modalities and healing lifeways for the world community." Therapeutic Touch, Stephen Barrett, M.D. Quackwatch:"Therapeutic touch is a method in which the hands are used to "direct human energies to help or heal someone who is ill." Proponents claim that the patient's "energy field" can be detected and intentionally manipulated by the therapist. They theorize that healing results from a transfer of "excess energy" from healer to patient. Their reports claim that TT is effective against scores of diseases and conditions." April 1, 1998 A Close Look at Therapeutic Touch:"Therapeutic Touch practice guides[1-6] describe 3 basic steps, none of which actually requires touching the patient's body. The first step is centering, in which the practitioner focuses on his or her intent to help the patient. This step resembles meditation and is claimed to benefit the practitioner as well. The second step is assessment, in which the practitioner's hands, from a distance of 5 to 10 cm, sweep over the patient's body from head to feet, "attuning" to the patient's condition by becoming aware of "changes in sensory cues" in the hands. The third step is intervention, in which the practitioner's hands "repattern" the patient's "energy field" by removing "congestion," replenishing depleted areas, and smoothing out ill- flowing areas. The resultant "energy balance" purportedly stems disease and allows the patient's body to heal itself." January 15, 2002: Touching a nerve:"At first, advocates of therapeutic touch used impressive-sounding lingo to justify their claims, arguing that therapeutic touch healers could sense an 'energy field' that emanated beyond a patient's body; could sense when the field was disturbed and therefore causing pain; and had the power to smooth out the field with their hands to induce healing. (There is no evidence that such energy fields exist and scientists consider it implausible.)" Nursing irrationality:"If this were simply one of many independently operating New Age cults, it would be of little interest to the general public. 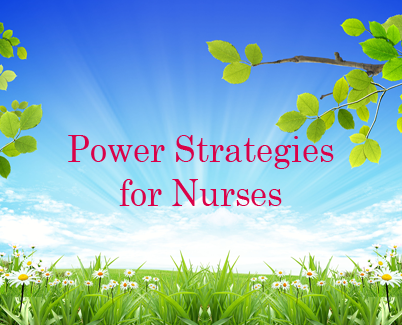 But TT has been endorsed at the highest levels of the nursing profession. The National League for Nursing, the agency that accredits nursing schools in the USA, has promoted the technique through books and videos. The technique is used by nurses in scores of hospitals in the USA and Canada. Proponents have claimed that at least 43,000 healthcare professionals have been trained in the technique (2)." therapeutic touch, Skeptic's Dictionary:"Therapeutic touch (TT) is a type of energy medicine whereby the therapist moves his or her hands over the patient’s “energy field,” allegedly directing the flow of chi or prana so the patient can heal. TT is based on the belief that each living thing has a “life energy field” which extends beyond the surface of the body and generates an aura. This energy field can become unbalanced, misaligned, obstructed, or out of tune. Energy healers think they can feel and manipulate this energy field by making movements that resemble massaging the air a few inches above the surface of the patient’s body." Therapeutic Touch: Does it work? :"TT or Therapeutic Touch (invented by Dolores Krieger) is based on the assumption that a "human energy field" extends beyond the skin. The idea behind TT is that this human energy field is abundant and flows in balanced patterns in health but is depleted and/or unbalanced in illness or injury. Practitioners believe they can restore health by sensing and adjusting such fields."